Request to Schedule a Mammogram – One in 8 women will develop breast cancer in her lifetime. Mammograms are your best friend in this fight. A mammogram is an X-ray of the breasts to screen for breast cancer. During the test, a radiologic technologist positions one of your breasts on an X-ray plate and compresses your breast by lowering a top plate. You will need to hold your breath while the technologist takes the X-ray. Find a Southcoast Health mammography location or schedule your yearly mammogram. 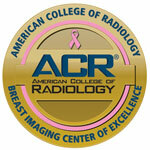 3D mammography is also available. We also offer breast tomosynthesis, which offers a 3D look at the breast by taking multiple images of the entire breast to improve the clarity and depth of the imaging. With digital mammography sites across southeastern Massachusetts, we offer the largest digital system in the South Coast region. Get the clearest picture of your breast health and breast cancer risk by coming to Southcoast Health for your mammogram in Fall River, Dartmouth, Wareham or a surrounding area. Women should start getting annual mammograms between ages 40 to 45 depending on their breast cancer risk. Regular screenings, typically once a year, should continue as long as your doctor recommends. If you have dense breasts (which can be determined by a radiologist looking at your mammogram), then you may have an increased risk of breast cancer, and it may be more difficult for doctors to see signs of cancer in a mammogram. The Massachusetts Breast Density Notification Law requires all providers of mammography services inform a patient in writing if their mammogram shows that they have dense breast tissue. If you have dense breast tissue, we will provide information about what that means and how we can help you promote good breast health. 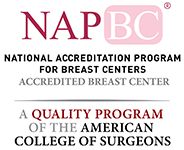 You may also require a breast ultrasound or a breast MRI for your doctor to see your breast tissue more clearly. The Southcoast Breast Center works with Southcoast’s breast imaging centers to provide digital mammography and breast health services to women throughout southeastern Massachusetts, as well as parts of Rhode Island.